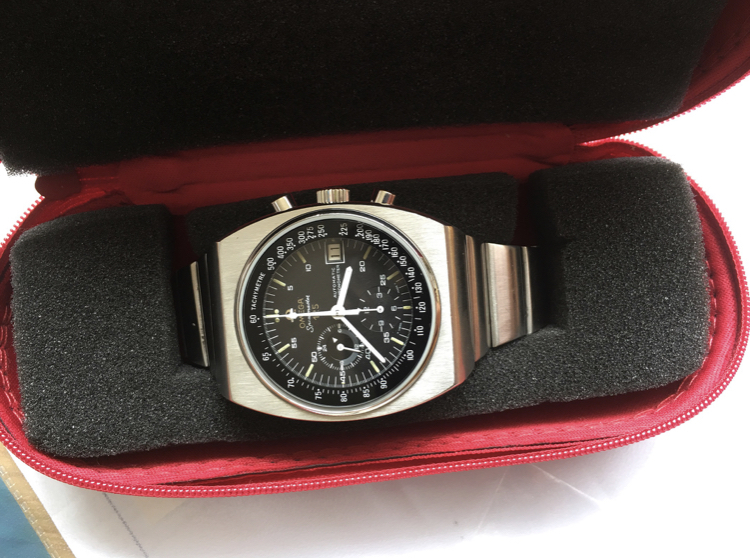 Omega Speedmaster 125. The massive stainless steel case measures approximately 42mm without crown. Of course, watch comes with all replaced part. Come with watch, service invoice and the transport box.